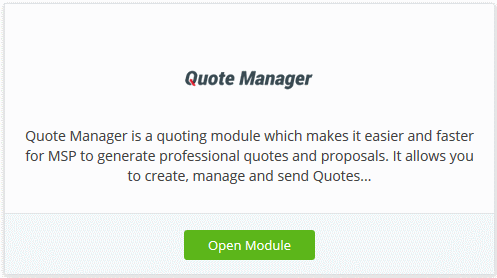 Quote Manager (QM) allows you to quickly cost, generate and send quotes to your customers. 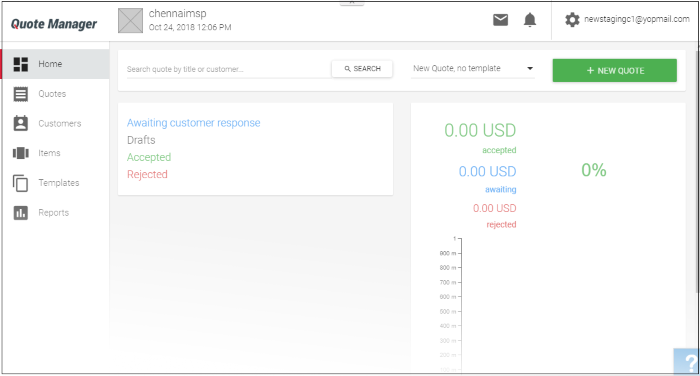 Quotes can be forwarded to customers directly from the C1 interface. 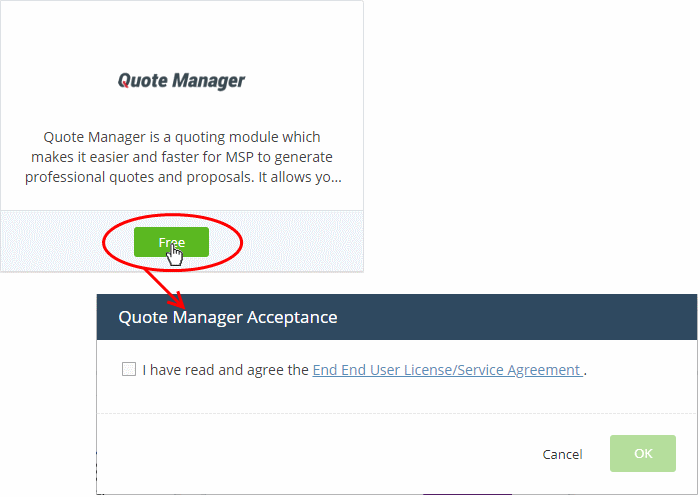 Customers can review, accept or reject their quotes using the online viewer. Built-in dashboard lets you easily keep track of the status of a quote. Other features include custom quote templates, custom email templates, quote reminders, sales reports and more. Click 'Store' on the menu bar and locate the 'Quote Manager' tile. Click 'Quote Manager' to view the product description. Read the EULA fully, select the check box and click 'OK'. 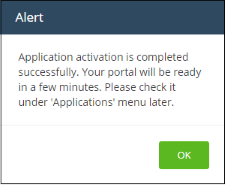 Once added, you can access 'Quote Manager' from the 'Applications' interface. 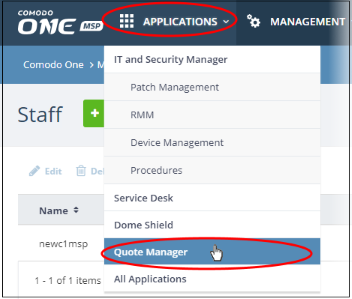 The Quote Manager interface will open on a new tab or in the current tab as configured in 'Settings' > 'Comodo One Application Launch'. SeeConfigure application launch settings inConfigure C1 Settings for more details.